This exhibition marks the Centenary of the Federation cottage Boronia, which now serves as the home of the Willoughby Historical Society and the Willoughby Museum. This event links the exhibition to the 2013 National Trust Heritage Festival theme, ‘Community Milestones’. Visitors at the From Home to Museum exhibition at the Willoughby Museum on 21 April 2013. By 1920 the Federation house, frequently splendid, had transformed the physical appearance of Chatswood. Federation Chatswood was well-built, innovative and costly. Individually designed houses expressed a pleasing combination of brick, tile, terracotta mouldings, tessellated paving, lead lights, rusticated stone, stucco and marble. … The Federation house can in many respects be seen as uniquely Australian, and Chatswood of the 1920s excelled in the genre. The exhibition explores the establishment of the residential estates in south Chatswood from the early land grants to the various sub-divisions; the establishment of fine houses in Late Victorian, Federation and Inter-War styles; the demolition of residential housing stock for commercial development in the Chatswood regional centre in the 1970s and 80s; and the community response to identify the remaining heritage features and protect the character of the area though the South Chatswood Conservation Area, which was established in 1995. Six significant houses within the conservation area are examined in detail, as well as the history of Boronia. The story is told through 14 large high-quality panels created by Sue Burk and Rob Wilson to tell the story through photographs, maps and plans with minimal text. These are backed by displays of household objects that explore the everyday life of local residents from 1913 and architectural items from local bungalows that were demolished in the 1980s. 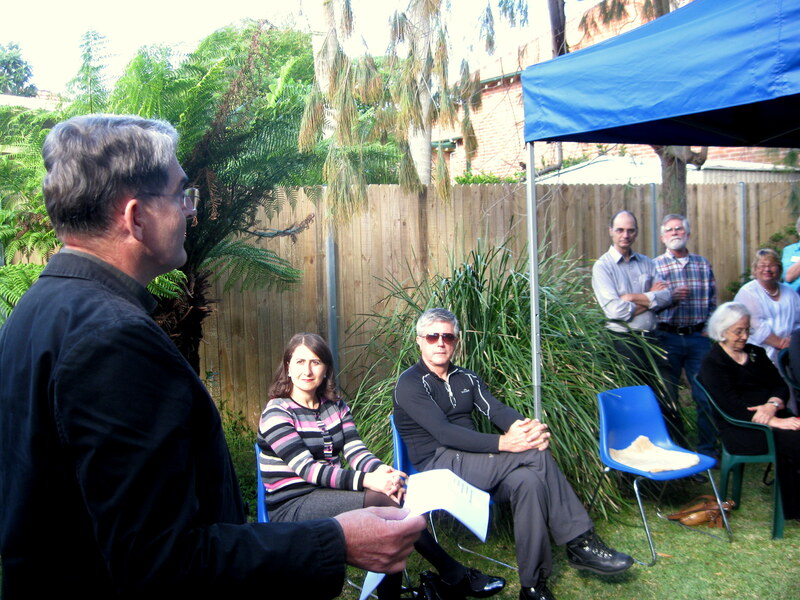 Heritage Architect Dr Scott Robertson speaking at the formal opening of the exhibition on 21 April 2013. Additional elements of the exhibition are under development and will be added during 2013. Click here to download a poster of the exhibition. The exhibition was formally opened by heritage architect Dr Scott Robertson on 21 April 2013. His speech, which drew wide acclaim from the audience, can be downloaded by clicking here.